Enjoy the refreshing taste of juicy berries. 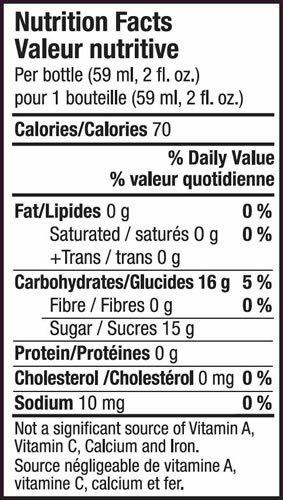 Each 2 oz of Berry Burst Glucose Liquiblast contains 15 grams of fast-acting carbohydrates. Another option to use for nighttime hypoglycemia. Great for mild and moderate episodes of hypoglycemia. Dex4 Berry Burst Glucose Liquiblast is a great new way to raise low blood sugar fast and boost energy! Great for mild to moderate lows, each 2oz bottle contains 15g of fast-acting carbs (d-glucose) as recommended by the Canadian Diabetes Association (CDA). For exercise-induced & nighttime hypoglycemia. Great for mild to moderate sugar lows. Caffeine free, fat free, sodium free and gluten free. Nighttime hypoglycemia can be scary for you and your loved ones. 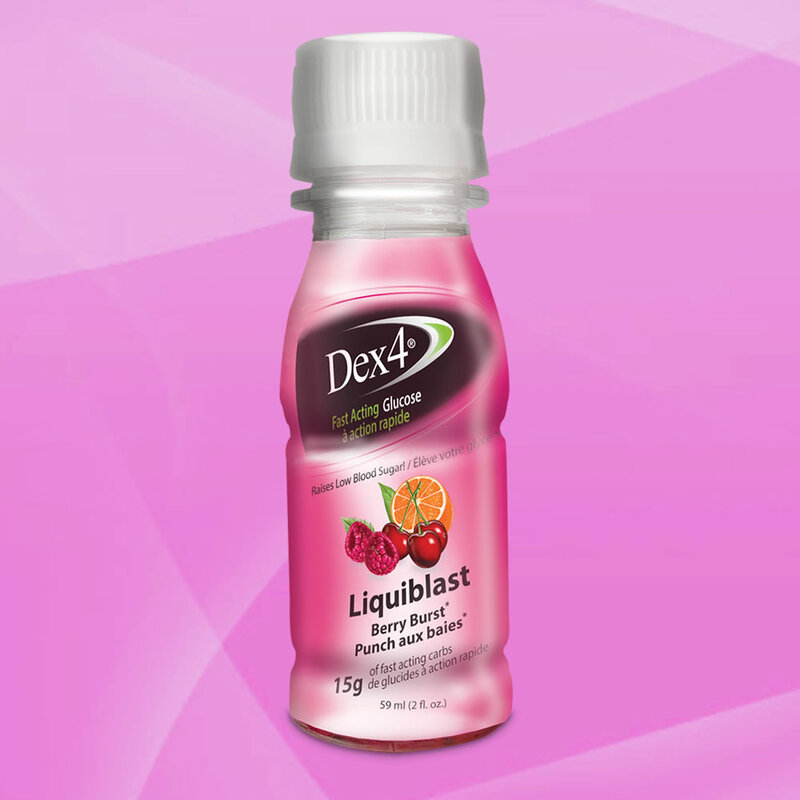 Teach them the signs to look for and be sure to keep fast-acting Dex4 Berry Burst Glucose Liquidblast on the nightstand for fast access. Directions: Drink desired amount. Please consult with your healthcare professional to determine the best serving size for you. Store at room temperature; Do not freeze. Fabulous fast acting product that has saved my life! IMPORTANT – DO NOT STORE IN EXTREME HEAT or CAR. The bottle can become difficult to open if left in extreme temperature. This product is very convenient to carry in my bags and works well when sugar is low. Have had difficulty opening the lids on multiple bottles. On more than one occasion have had to ask for help and it took 2 people to open the bottle because the lid would not twist off. This is not good when my sugar is low and I need some sugar. I am not a big fan of the flavour, preferred the previous flavour without the cherry in it. This is by far my favorite treatment for a low blood sugar. It’s much more convenient then chewing tablets and works fast. My only problem is I am having problems finding it.